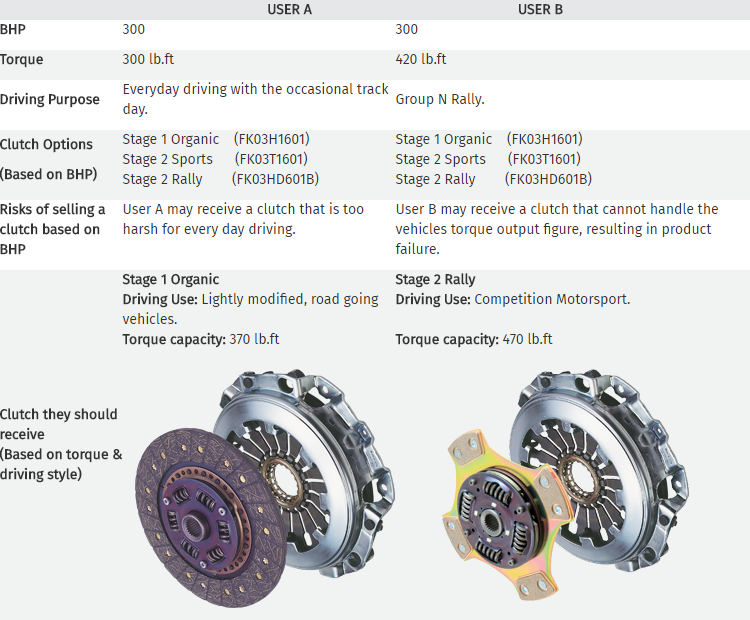 The Difference Between OE and "OE Quality"
The primary reason to consider changing your standard clutch for an uprated item is to handle an increase in engine power output. 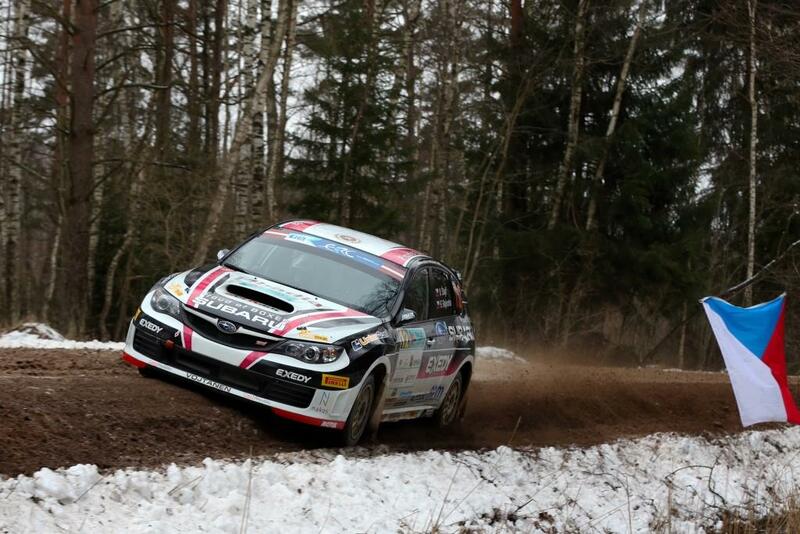 We are often asked "what is the best clutch for my Subaru Impreza with 360 BHP?" or "do you sell a clutch for a Nissan Skyline which can handle 800 BHP?" 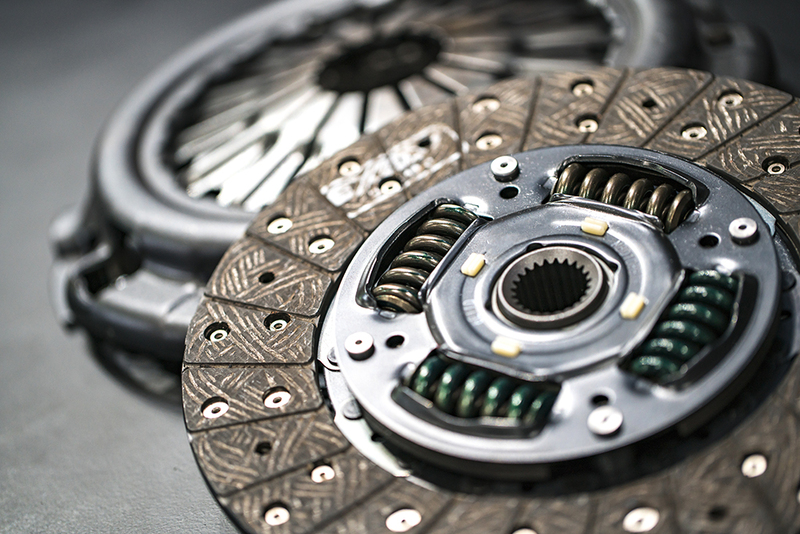 Whilst it is entirely possible to calculate the power capacity of any clutch system in these terms, to do so accurately requires more detailed knowledge about the vehicle and complex mathematical calculations. It is much simpler, more accurate and safer to use the vehicle's engine torque output figure. It is this figure which automotive component manufacturers use to quote clutch power capacities. Unlike horsepower, torque is a direct measure of the engine's turning force, which the clutch friction material has to overcome in order to avoid slipping. Consequently, this is the most accurate way to ensure the clutch is robust enough. Power or BHP is simply a further extrapolation of the torque figure, which also takes into account a given length of time for the engine's work to be done. Put simply, torque is the measure of work done by the engine, whereas power is the rate of work done by the engine. EXEDY always recommends that its distributors sell to their customers based on torque capacity. Anyone in the performance industry who does not do so may be advising their customer incorrectly. 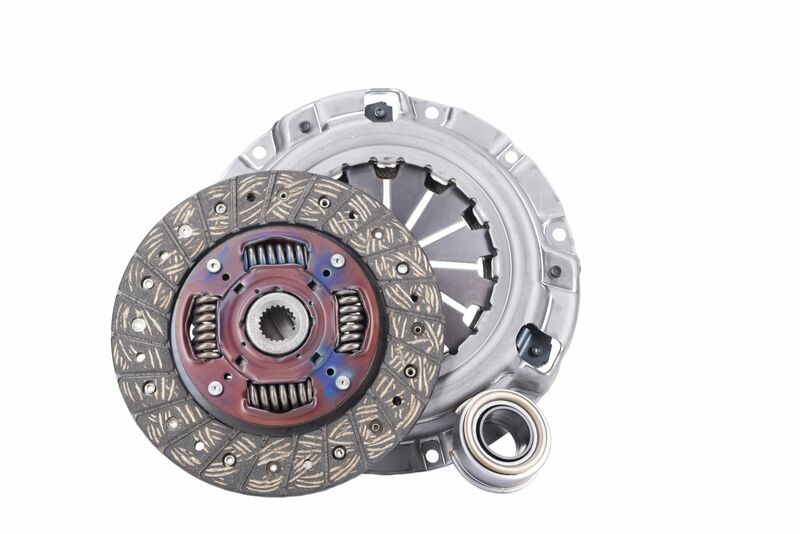 If an end user is advised on a suitable clutch for their vehicle based on BHP, there is an inherent danger that: a) the clutch is not suitable for the vehicles driving purpose and b) the clutch cannot handle the engine's torque output. 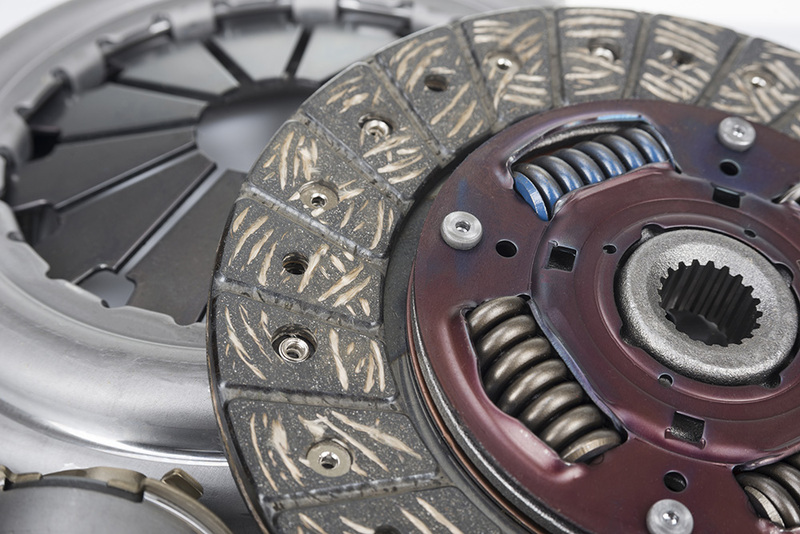 If the end user states their torque (and driving purpose) upon enquiry, EXEDY, or an official EXEDY distributor, will be able to recommend the most suitable clutch. Sign up to our newsletter to stay informed on the company's latest news.